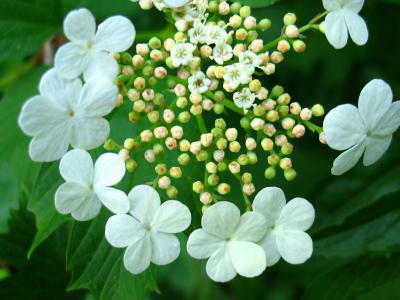 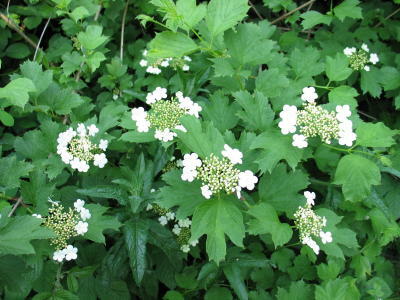 A spreading shrub with few branches The posy like flowers of Guelder Rose decorate woodlands on dmap ground in the wild, and in the cultivatrd forms decorate gardens. 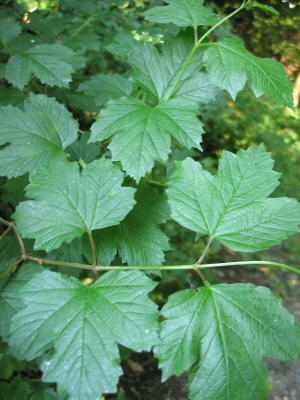 The leaves , smooth on top, hairy below, turn a dull red in the autumn. 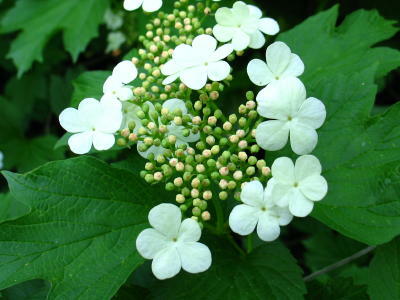 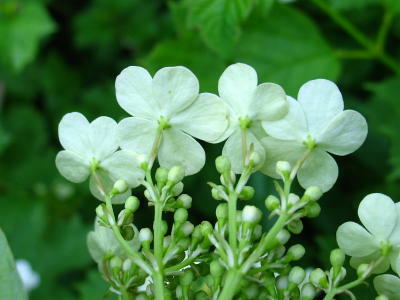 The fragrant flowers appear in May and June, in broad clusters . 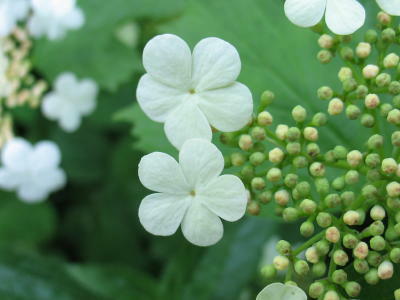 The larger ones on the outside are showy , but sterile, attracting pollinating insects to the fertile smaller flowers, further in . 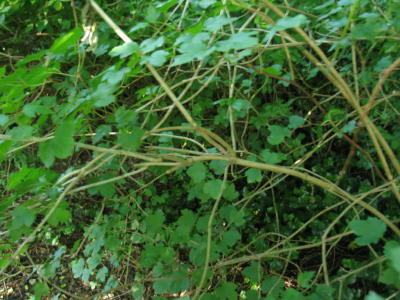 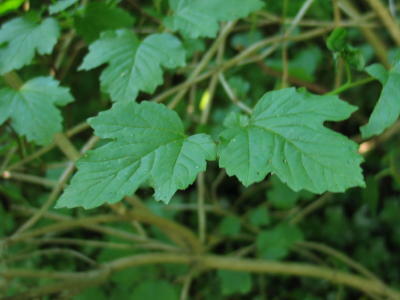 The leaves , bark and berries are all poisonous. 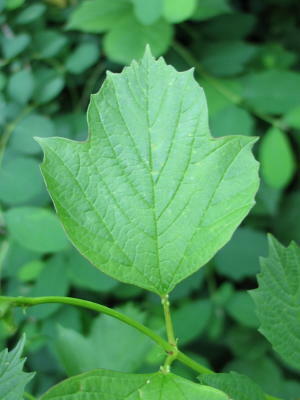 The berrues are red and remain on the tree after leaves drop. 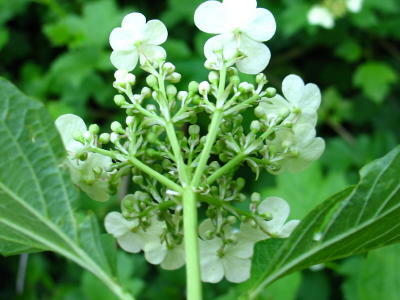 One variet with spherical flower heads is called the Snowball tree.